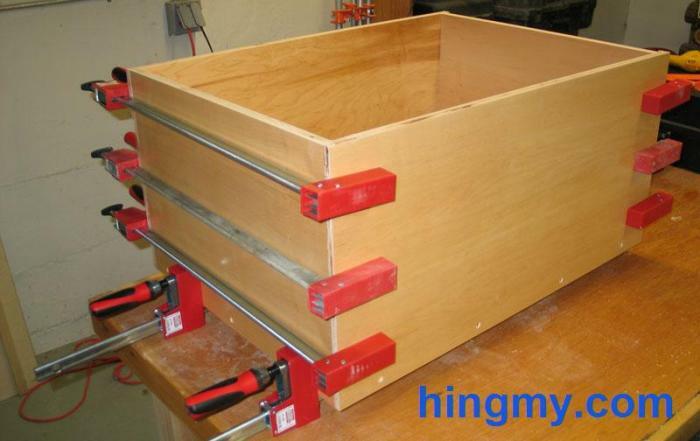 Solid plywood cabinets start with a good solid box. The kitchen cabinets sold in most stores these days light materials. The top and the back are often replaced with bracing to keep costs down. A quality cabinet makes none of these compromises. The structure of the cabinet is nothing more than a box the face frame is attached to. The sides, the bottom, and the top have a dado slot that accepts the back. The whole assembly is held together with glue and nails/screws. The woodworking challenges are getting the dimensions right, and cutting straight and true. While I can't guide your hand, I can help with measuring. This calculator will help you get your cutlist together.